Used The Greeting Farms Frappi Anya on this card. 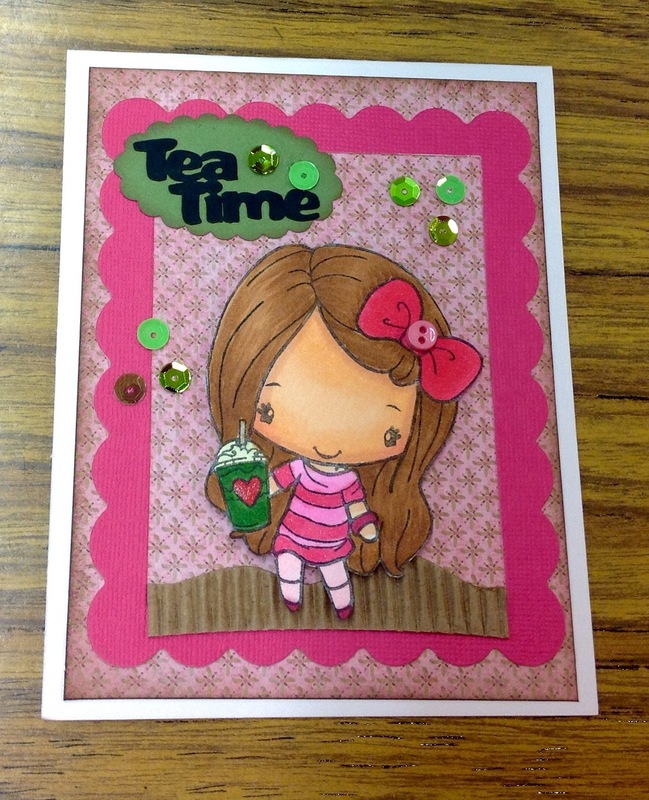 Tea Time laser cut from Island Scrapbooking. 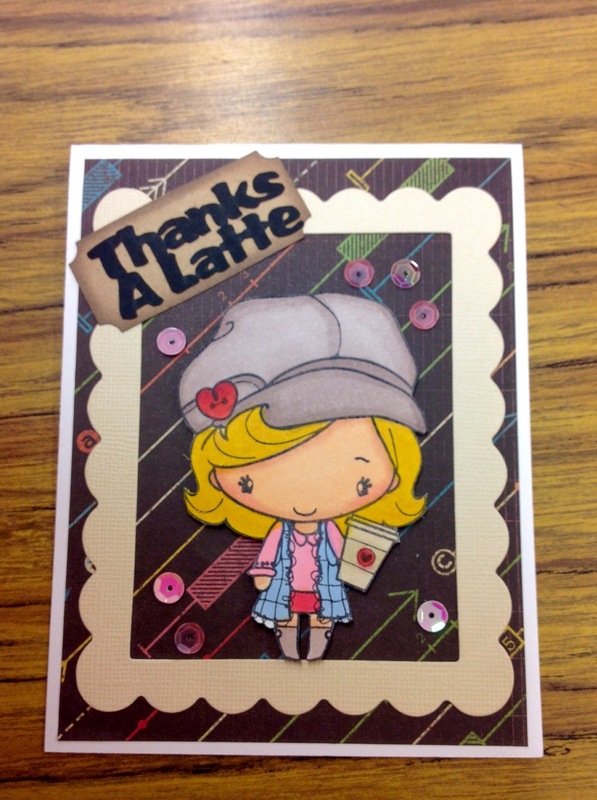 Used The Greeting Farms Latte Anya. 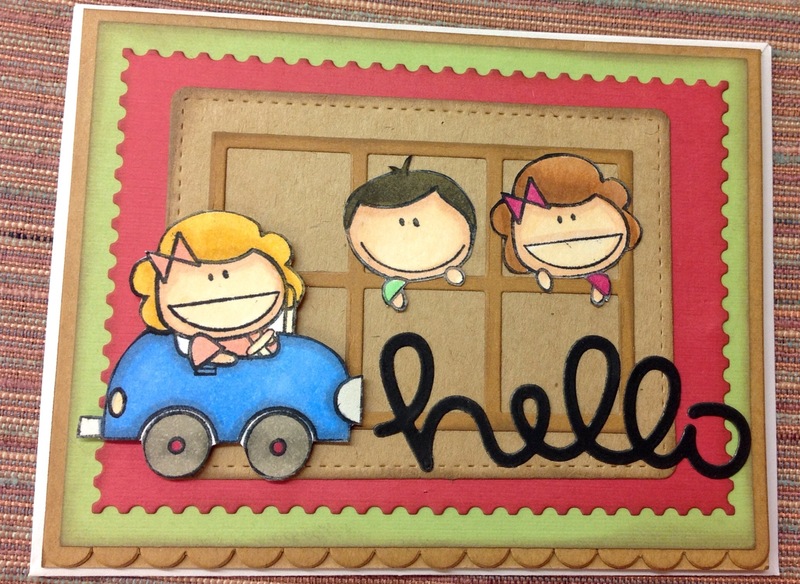 Used the Greeting Farm Frappi Anya on this card. Added a few Doodlebug sequins from the Rainbow Assortment. Michelle from Island Scrapbooking made these tea and coffee sayings for me. Thanks Michelle…love them. Need To Venti and Tea Time. You’re Tea-Riffic, Thanks A Latte and Expresso Yourself. Contact Michelle from Island Scrapbooking for these laser cuts. I bought them all in white and black. On this card I colored the saying in green. Mahalo Michelle for the extra freebies! I received a large and heavy box from a SHY crafter. She was so generous to send me all these goodies. 12 x12″ paper pad and smaller 6 x 6″ paper pads. Hawaii doesn’t have a Tuesday Morning and look at the price. CHA item: Antibacterial Sanitizer and cute small scissors. Thank you very much SHY Crafter for everything, my husband already opened the Dark Chocolate Cookie Butter Cups….Yummy! 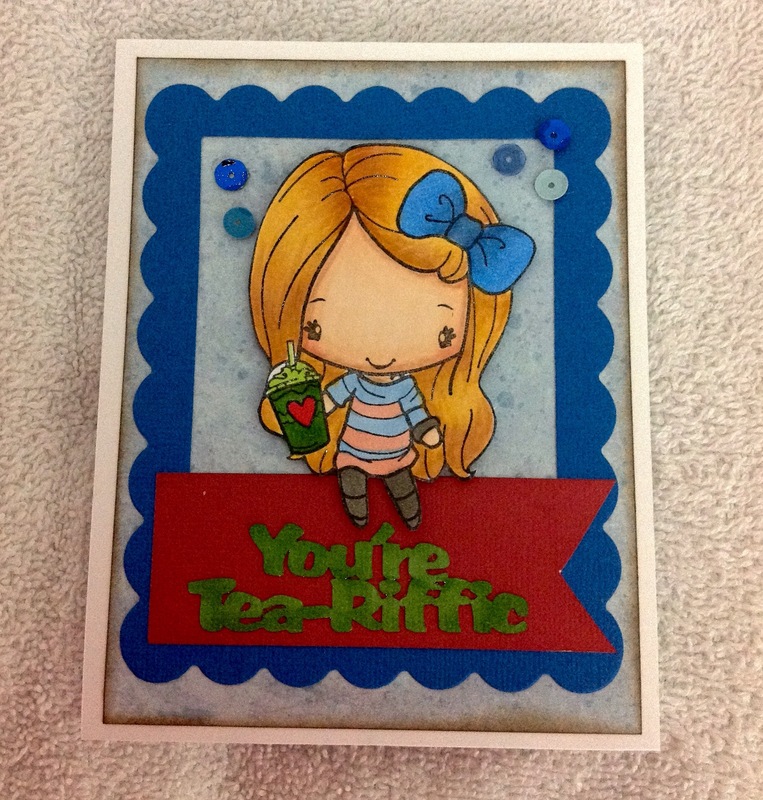 Used two CC Designs Meoples stamps on this card. The Meoples stamps are Beep! Beep! and Hangers. Hello from a Lawn Fawn die. Used the Mama Elephant dies for the window and layers. 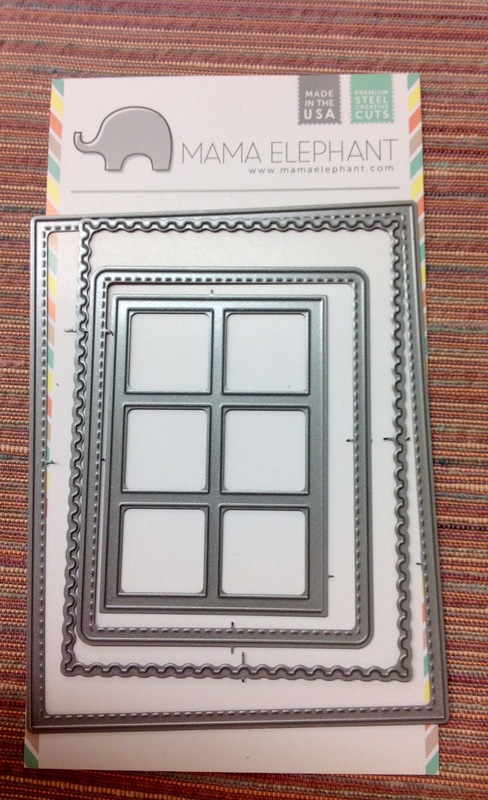 Thank you Susan C. For giving me all these Stampin’ Up stamp pads. My class used them for water coloring. Used CC Designs Nymph Lucy on this card. I cut the wings off of the image. The Flowers were given to me from Susan C., thanks Susan. 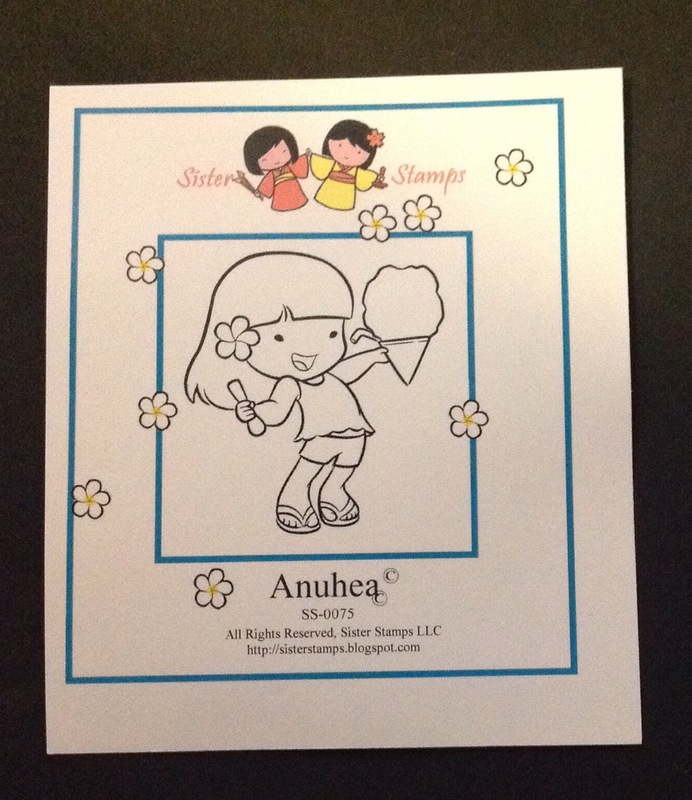 The ambulance and stethoscope (inside the card) stamps are from Paper Smooches. 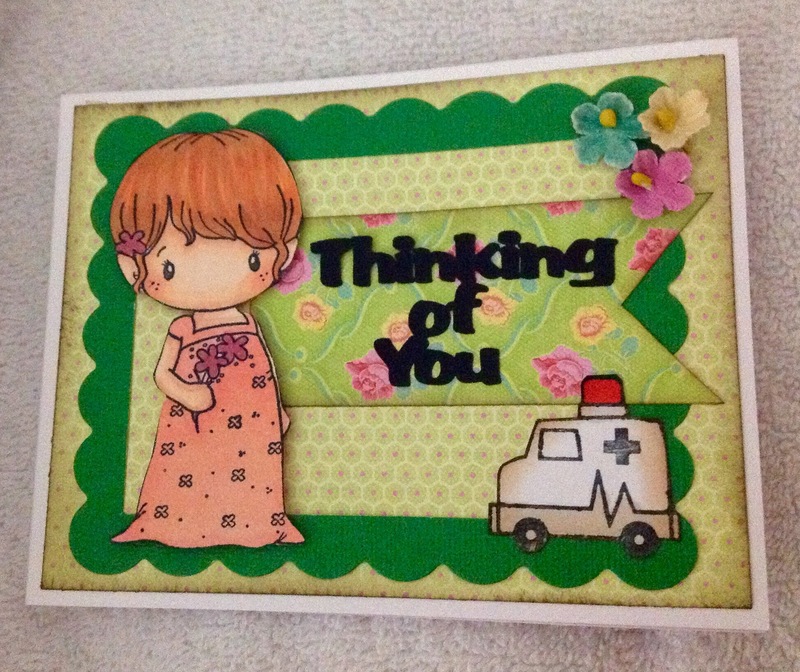 Laser cut, Thinking of You from Island Scrapbooking. I ordered and received Happy Valentine’s Day and Happy Girl’s Day laser cuts. Contact Michelle at Island Scrapbooking. Two classes today with Mako’s friends & Blanche’s friends. Mako is having some health issues this past week and today. Get Well Mako!!! We are all praying for you. 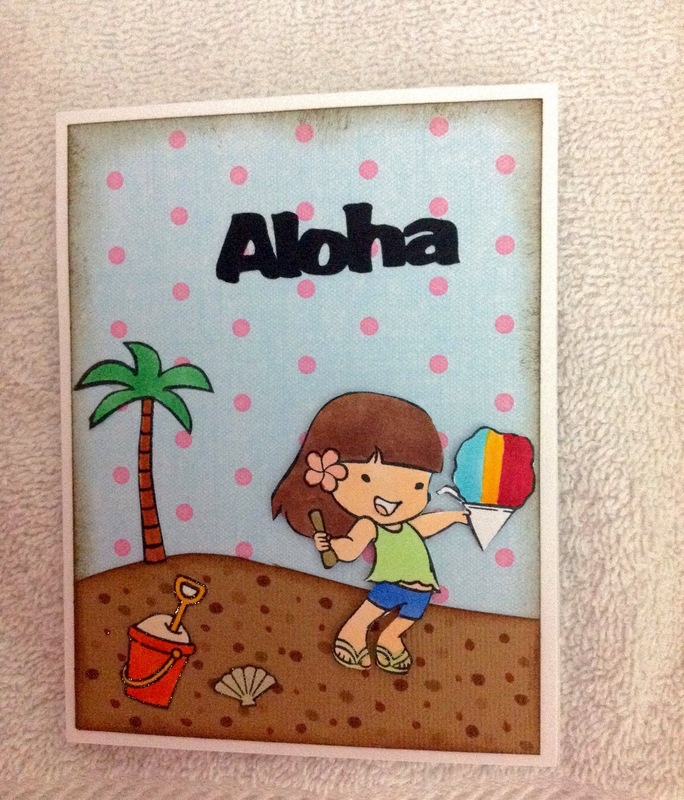 First card using Anuhea from the Sister Stamps. She is a favorite stamp of the afternoon group. Lots of coloring and cutting out. Second card I had posted a picture awhile ago using the Martha Stewart’s thank you cards I bought super cheap. Added washi tape and a hibiscus laser cut from Island Scrapbooking. Make and Take with Mako and Friends. 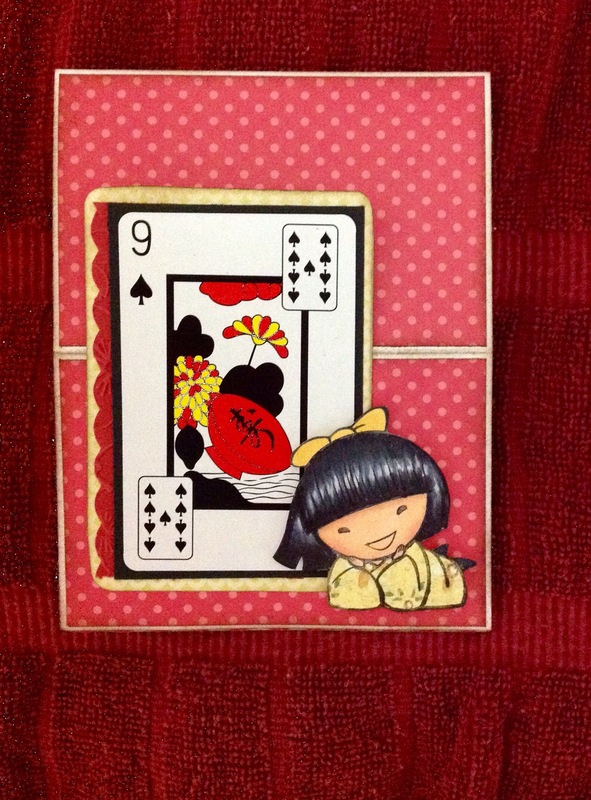 Flip card using the Meoples from CC Designs. Second card using the envelope punch board to make the little envelope that actually fits a gift card or adding a treat. If you live in Hawaii, it’s coupon day. Actually he got some free dinner. If you go on Facebook, Ben Franklin Hawaii has a coupon on the site that you can show on Saturday and Sunday. I wanted these sequins from Doodlebug. I’ve been watching You Tube videos and several crafters have been finding the assorted sequins as cheap as a dollar. It was another brand not Doodlebug. 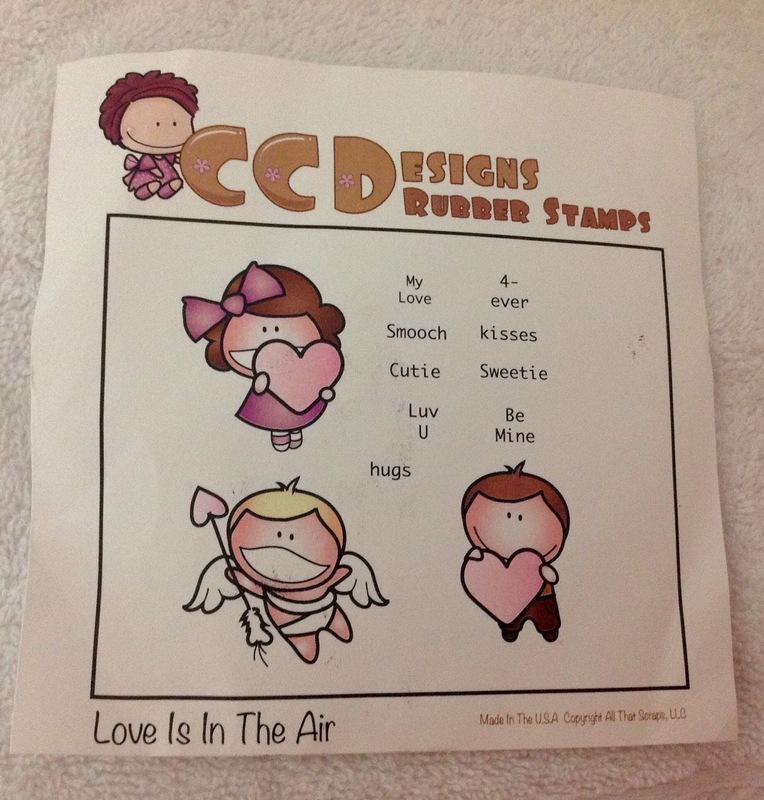 Bought several Paper Smooches stamps. Can’t wait to make some cards. Still have coupons left, what shall I buy tomorrow…..
Today was a teacher work day at school. Worked on report cards and planning. Came home early and Day Four of NO TV. Hawaiian Tel is having some problems. Service person won’t be here till Tuesday…ugh. Thank goodness, I have Internet. Switched over to Hawaiian Tel but this NO TV is getting old. This is not the first time….moving on. I prepped two projects for this weekend. Lots of time when you don’t have the TV. I received my order from Island Scrapbooking. Ordered reindeers and gingerbread man in various sizes and shades. Also ordered more Happy Birthday, Happy Girl’s Day and Happy Valentine’s Day. Already used the Valentine’s laser cut for this weekends project. Michelle, the store owner was so generous to send some freebies. 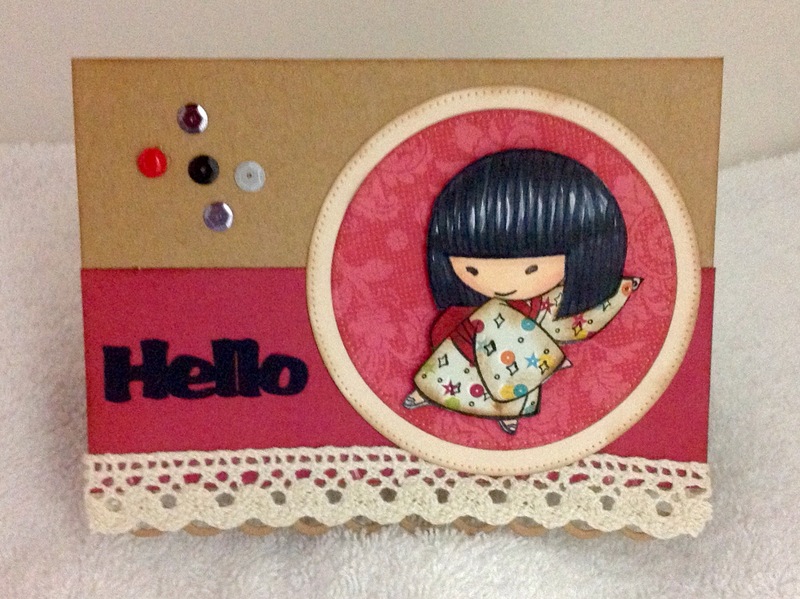 Harumi from the Sister Stamps makes another appearance on this sort of easel card. I seen a die that makes a fancier cut but made my simpler version. I wanted to use the Japanese cards, Hanafuda. Went to the King St. Longs (CVS) and they don’t sell them. Found them at the Kahala Longs (CVS). Picked that card because it had yellow and seemed to go with Harumi. I used a tall folding card. 8 1/2″ x 11″ paper cut in half at 4 1/2″ then score at 5 1/2″. The green tape is where you score. Again the green tape is where you score. Used enamel dots to hold the card up. 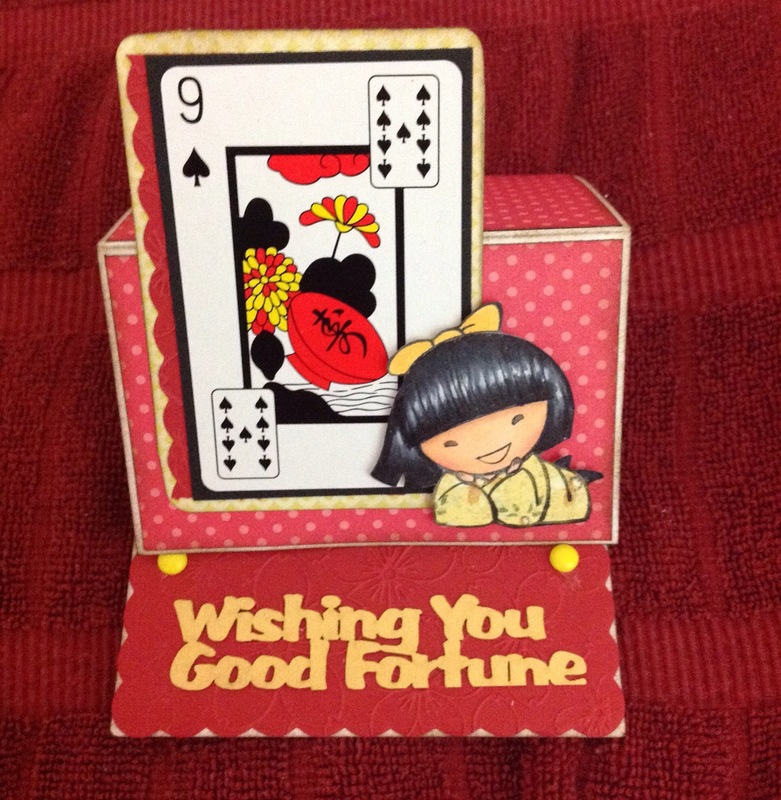 Wishing You Good Fortune laser cut from Island Scrapbooking. Have questions, let me know….Happy Crafting! 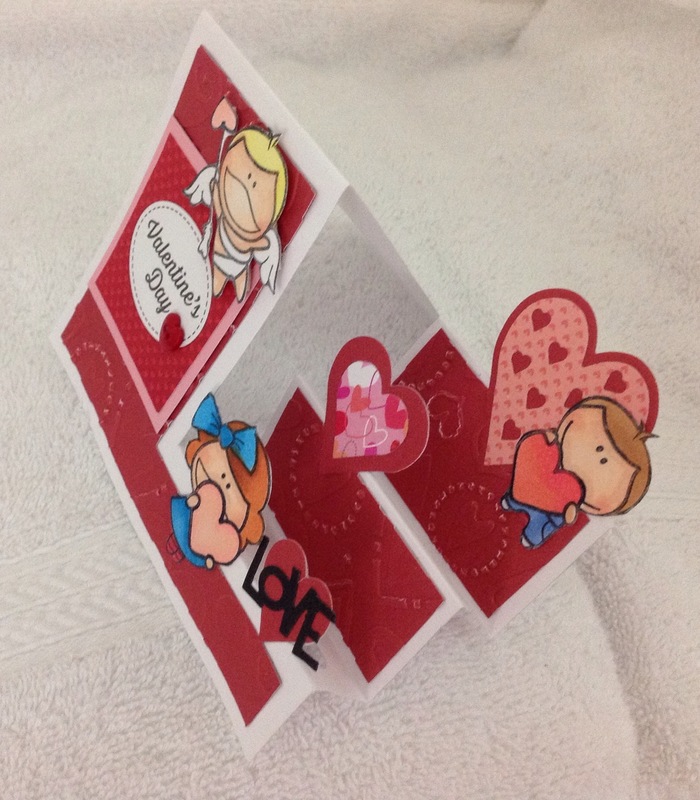 Made a step card using the Sizzix Hearts Step Up dies. No more measuring and scoring to make a step card. 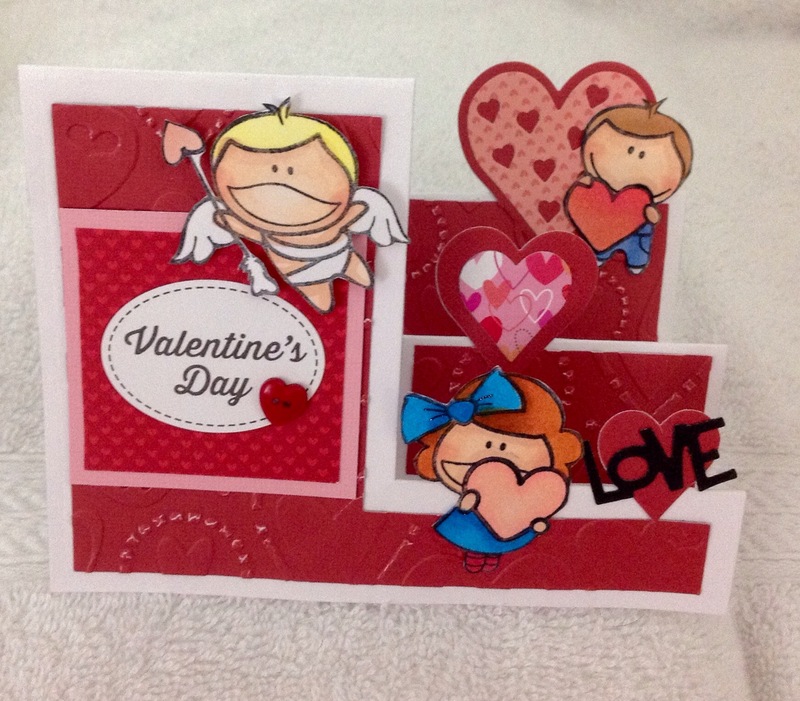 Used the CC Designs Meoples Love Is In The Air stamp set. A few more days and my Winter vacation will come to an end and it’s back to school. Gotta get back to making cards. Made this simple Valentines card. I’ve had this CC Designs stamp for awhile and do not know the name of this stamp. I bought several stamps very cheap years ago but most did not have the packages. Anyone know what is the name of this stamp? Sentiment is from Amy R Adoring You stamp set. Trying to use stamps that I have and haven’t used or used in awhile. I found these Martha Stewart cards for dirt cheap. Decided to use these cards for a super quick project this weekend with Mako, Blanche & friends. They usually make an easy card and one that takes more time. Added sparkly hibiscus laser cuts from Island Scrapbooking and washi tape. Instant card….blink your eye and it’s done. 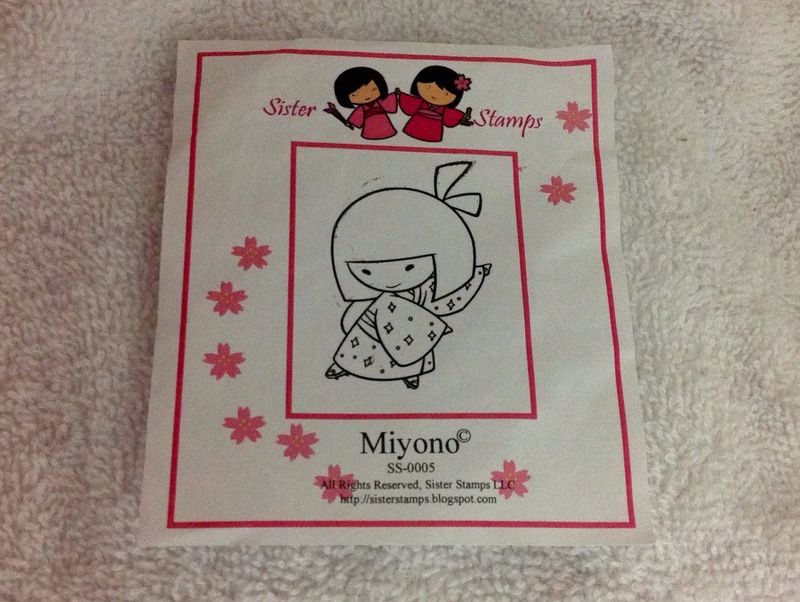 Here is another card using the Sister Stamps image Miyono. Hello Laser cuts from Island Scrapbooking. Used MFT–My Favorite Things Die-namics Pierced Circle. Fabric Tape given to me from Sandy H.
Using one of my favorite image from the Sister Stamps. Here is Harumi. She looks like my cousin Rae when she was younger. The pink trim was given to me awhile ago by Sandy H.